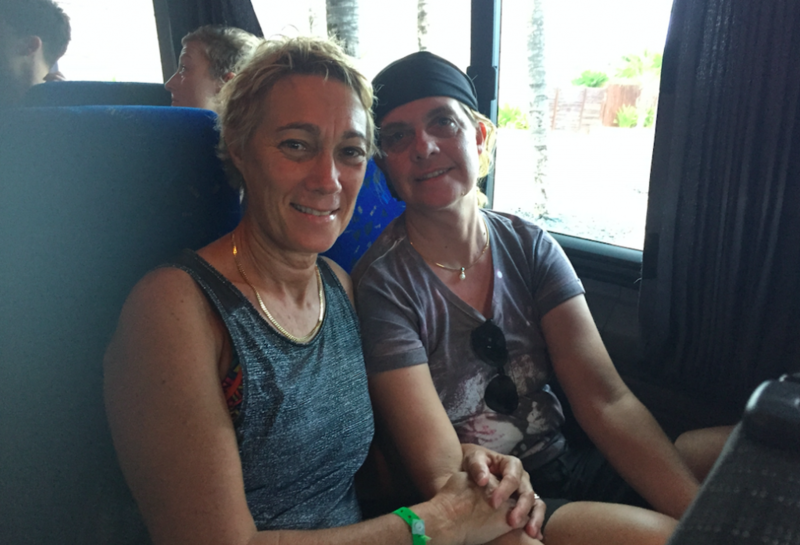 Australian LGBTI Awards co-founder Linda Riley has filed a report with New South Wales police alleging that her business partner, Silke Bader, along with Bader’s wife, Tanya Sale, CEO of Outsource Financial Direct, have defrauded the company of tens of thousands of dollars. OutNews Global has made several attempts to elicit a response from Ms Bader but at the time of going to press no response has been forthcoming. Further investigations by OutNews Global have uncovered a copy of a motion to dismiss Ms Bader from her position as a director of Sydney Mardi Gras, alleging a breach of both the Mardi Gras constitution and the Corporations Act. 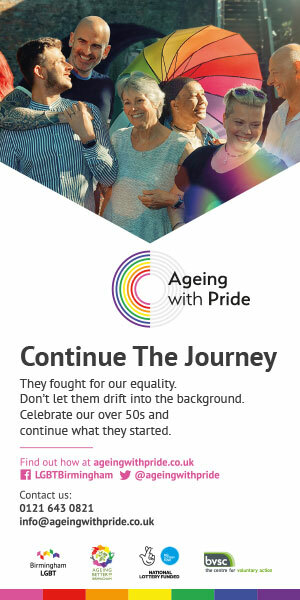 Specifically, Ms Bader was accused of running a competing event and, further, approaching Mardi Gras sponsors to divert their sponsorship funds to the Australian LGBTI Awards. 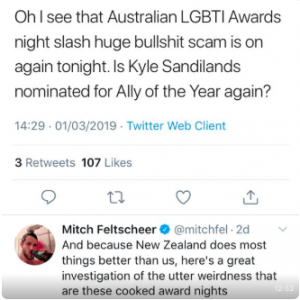 Members of Australia’s LGBTI community have expressed disquiet on social media (examples below) about the voting process, questioning how the Awards organiser arrived at her decisions in respect of certain award winners. The lead sponsor of the Awards are MLC while the event’s supporting sponsors include chemical giant Dow. Sponsors of individual awards include Coca-Cola, Amazon, Bloomberg, Vodafone Car Sales and Holden. There is no suggestion that any of the events sponsors are in any way involved with financial or voting irregularities, and all entered into their sponsorship arrangements in good faith. Ms Bader’s LinkedIn profile lists her as a director of Twin Media Group Limited, a company registered in England of which she is not a director. 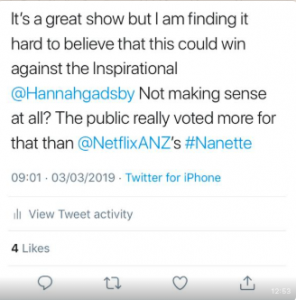 She is, however, a director of Twin Media Pty in Australia, which we have been informed is in the process of being liquidated. Her profile also makes reference to awards in Europe, Asia and America, although OutNews Global could find no evidence of these events ever taking place. Neither Mardi Gras nor Silke Bader were available for comment.